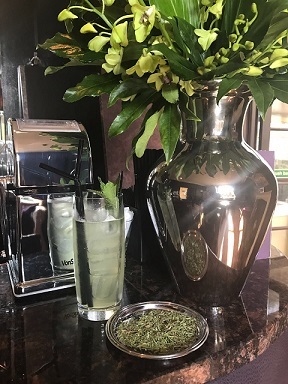 To keep things spiced up, we try to incorporate a little difference where we can, and we have certainly done that with our twist on the classic Southside cocktail. 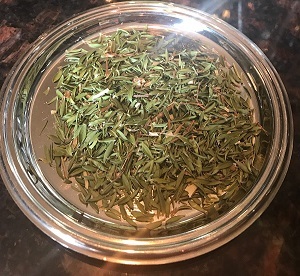 We took the Southside cocktail and shook things up a bit by using our Manuka infused Gin, hence re-naming it as 'Herbal Southside'. We are the only Restaurant around to home brew Gin with Manuka, and these are the details that will get your mouth watering. Sipsmith contains cinnamon and over 10 different botanicals that make it spicy. It also has citrus notes due to the lemon, orange, and coriander seed. It also has angelica root which is what makes the Gin wonderfully long and dry. Handcrafted and distilled in copper, this Gin is carefully crafted ready for our infusion with Manuka! Manuka is a tree that can only be found in New Zealand and Cornwall (yes, Cornwall, England) and can be located no other place in the world. The beautiful tree grows 2-5 meters tall and is covered in delicate white flowers. In Maori, New Zealand's second language, the name Manuka translates to 'Tea-tree'. They use it here for common colds by placing Manuka leaves in a cup with hot water and then they breathe in the steam. Our Manuka Gin is brewed with the tea leaves for ONLY 3 hours or we would be left with a rather bitter and wooden tasting Gin! If Gin is your thing, then book on to our first ever Gin Cocktail Masterclass!